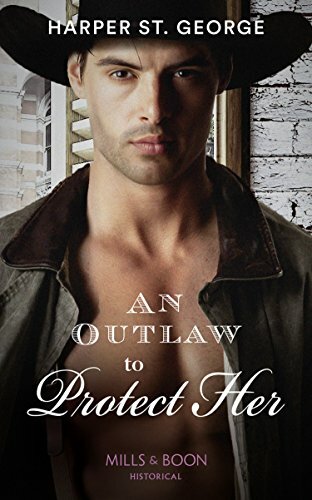 This is the third and final book in this series, mainly because Mills and Boon/Harlequin aren't publishing anymore western romances all I can say is boo...but on the bright side I can read the books that I haven't read. Anyway back to the review. I have been looking to this book for ages and lets just say, Ms St. George hasn't let me down. So where do I start, well it has to be Zane OMG he is absolutely divine (just look at the cover he is gorgeous), tall, dark and handsome looks mean...but has a caring side. He has issues with love, who wouldn't when a woman who he thought loved him, like he loved her let him down in a big way. Wow what a strong woman Glory Winters is, well she has to be considering that she runs a brothel...but she also has a caring side, you see this when she talks and plays with Emmy and Edward. Glory also helps women who for whatever reason needs a safe place and helps them get employment. But Glory has her secrets and the only person that knows this is Able...but her past is quickly coming into her future, and so asks Zane for help. Oooh I talk about Zane again, I don't know about you but I love a man that can draw, and Zane does this twice, the first time he sketches a rose and the second is when Glory is sleeping, for me I found this so romantic. And its for this reason I give 5/5 stars.